This week I am at FOSS Backstage, in Berlin. It’s a conference about what goes on behind the scenes in open source – issues of governance, licences and other legal stuff, community management, mentoring, and so on. Once a project gets beyond a few people, these issues start coming up. As was observed in this morning’s keynote, this doesn’t feel like a first-time conference, but rather like something that’s been running smoothly for a while. I’m very impressed with the event. I have been doing interviews for Feathercast this week, and have, so far, 13 interviews captured. So this is going to take a time to edit and publish. They’ll be on the Apache Software Foundation YouTube channel, as well as on the Feathercast site. 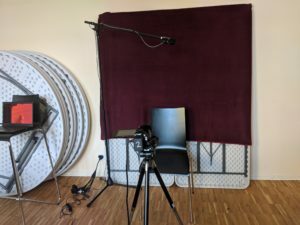 I’ve been talking to speakers from the event, and, since all of the sessions are being videoed, I’m trying not to simply reproduce their talk, but get some information about the project, organization, or concept that they were presenting. I hope you like what I’ve done. Follow @FeatherCast on Twitter to find out when the episodes are published. Yesterday I talked with Aaron Kimball about Apache Hadoop, which is way cooler than I realized. The interview is over on Feathercast. Aaron is doing a two-day training class at ApacheCon, which is just about six weeks away. Don’t miss it. There’s a new Feathercast from ApacheCon New Orleans. Bertrand Delecretaz is a new board member, and involved in the Sling project, and he talks about both. There’s a new project in the Apache Incubator. It’s called Stonehenge, and it’s about producing sample applications that implement industry standards. The purpose of these sample applications is to show developers how to develop interoperable applications. There’s a new FeatherCast about it, if you want to learn more about what they’re trying to accomplish. By entering the ASF, a project has access to the ASF infrastructure, legal organization, funding, conferences, and a variety of other resources, as well as having access to folks who know how to do Open Source, who have been doing it for more than ten years, and are many of them, fabulous mentors for folks wanting to figure out how this all works. The last time we did a FeatherCast was way back in March. Since then, life has gotten busy for David and myself, and the few interviews that we have scheduled have fallen through for one reason or another. We just returned from ApacheCon in New Orleans, and while there, I recorded (I think) 9 episodes of FeatherCast, which will be released over the coming month or two. I also put together a bonus episode for my Lightning Talk last night, which I think you’ll enjoy. Y’know, um, especially if, ah, you’re not one of the people that I was making fun of in it.